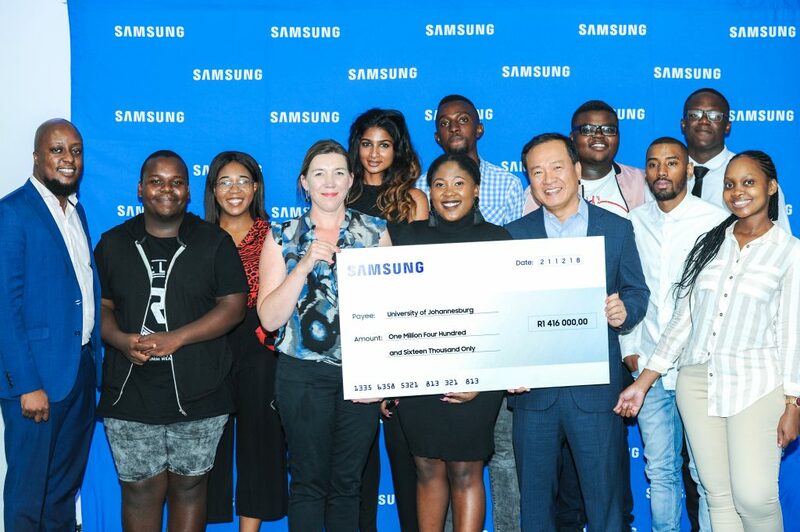 SERIOUS about youth empowerment, Samsung South Africa pledged a whopping 7 million this week for a funding of bursaries to financially disadvantaged students looking to complete their studies. At a ceremony held on Tuesday in Johannesburg, the tech giant handed over bursary cheques to four institutions, namely the University of Pretoria, North West University, University of Johannesburg and the Gauteng Department of Education. The much needed funding is aligned with Samsung’s global mission, ‘Enabling People’, which is aimed at making significant and lasting impact in the communities in which it operates. The event, dubbed ‘Empowering Tomorrow’, was attended by President and CEO of Samsung Africa, Sung Yoon, representatives from various educational institutions and a group of delightful student beneficiaries. ‘We believe this investment will help alleviate the current skills shortage facing the country – most notably through the Government’s 2030 vision. Samsung is firmly committed to meaningful change that turns potential into power, which is why occasions such as these are truly inspiring,” said Hlubi Shivanda, director of business innovation group and corporate affairs at Samsung South Africa. 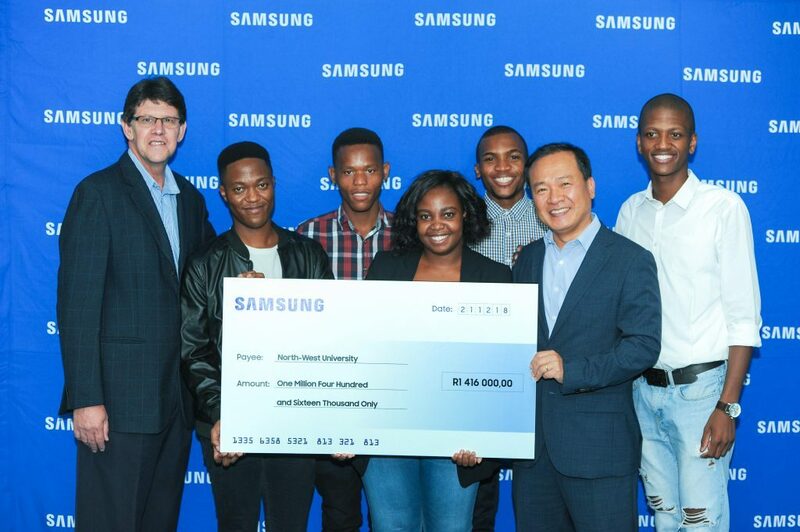 In addition to the bursary support, Samsung also pledged to seek out paths to employment for the deserving students. 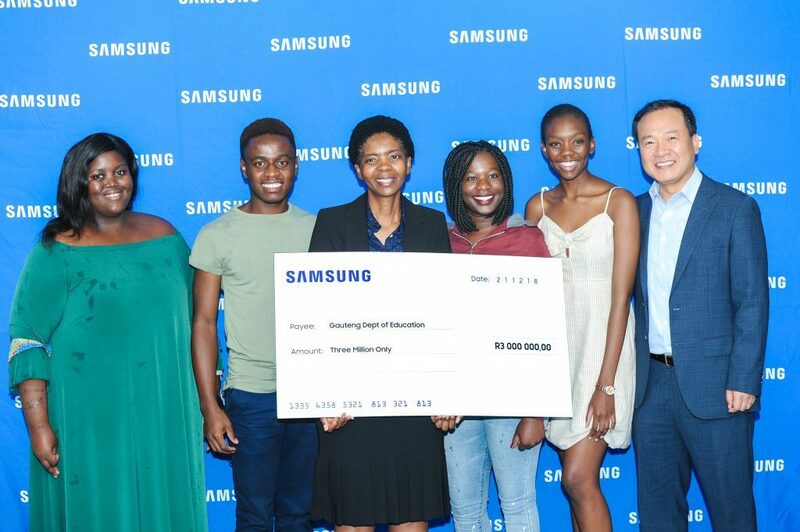 Last month, Samsung showed its commitment to developing the African youth when it conferred honours (certificates of completion) to 20 learners who graduated from the company’s Engineering Academy in Durban. This forms part of Samsung’s ongoing mission to develop skilled electronics technicians and engineers across the continent by bridging the skills gap that currently exists. The engineering academies across Africa have already seen thousands of students graduate with hands-on, practical skills at no cost, enabling them to move into jobs after they graduate. The top performing students are given a chance to intern at Samsung Electronics or its service partners and thereafter work as independent service technicians.